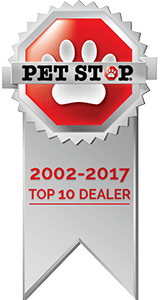 Pet StopⓇ Pet Management Systems is the only locally owned, designed and manufactured pet containment provider in South-East Pennsylvania! We’re your local Dog Fence Experts, and we’ll design and install an American-made pet fence system for your dog or cat, plus follow up with GentleSteps training, service and support. We customize underground dog fences that meet specific requests and budget. Most importantly, we’re a locally-owned and operated business that provides the best in products and services. We provide free on-site consultations, professional dog fence design and installation, and personalized gentle pet training to provide ongoing safety for your pet. We also service Invisible Fence® brand systems! 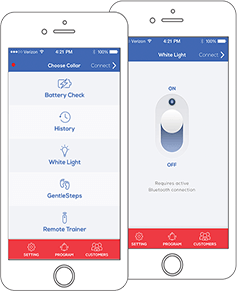 We’re an exclusive provider of GentleSteps™ Easier Training for Happier Pets. This technology allows us to incrementally increase correction levels as your pet learns the boundaries. No other manufacturer offers such a gentle approach to pet containment. Are you a current Pet Stop owner and in need of replacement batteries or comfort tips? Looking for a new collar or contacts? We’ve got your covered. Now you can place an order directly through our online store. If your dog is running around the neighborhood, you already know the risks – pets can get lost, hurt or worse, and your neighbors tend to not appreciate uninvited visits. 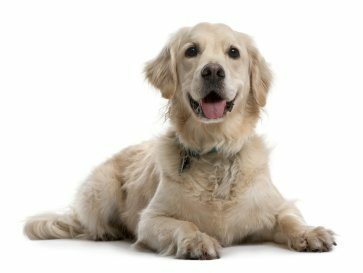 On top of that, every good dog trainer emphasizes the importance of giving our pets proper exercise, and our underground pet fences are here to solve these problems for you. Our “invisible” dog fence systems enable your furry friend to roam your yard freely, without the need to worry that they’ll go somewhere they shouldn’t. We’re dedicated to making sure your pet is safe, happy and healthy! With a locally-manufactured Pet Stop system professionally installed by us, you can finally gain the peace of mind you deserve. We proudly support our local Main Line Animal Rescue in Chester County, PA. Our very own Pet Stop fence system is installed at MLAR and we’ll give you a discount when you adopt an already pet-fence-trained dog from there! Our customers have a lot of good things to say about us. Not only that, but we have a large Veterinarian customer base that’s willing to recommend us! That’s just another reason why we’re your best choice for keeping your pet safe. Pet Management Systems of Pennsylvania is part of a unique group of local Preferred Business Partners and Rescues. Our hand-selected partners share the same dedication to care, love and improving the lives of dogs and cats as much as we do. We exclusively provide Pet Stop® systems for the same reason we hope you choose us to install your invisible fence – we won’t settle for anything less than the best. Unlike our competitors, all Pet Stop products are 100% designed & manufactured in the USA (in Exeter PA! ), and Pet Management Systems is a local Veteran-Owner Business. Our company President, John Purtell, founded the original Invisible Fence® in 1976 – so you can rest assured that we have decades of experience in pet containment. Are you interested in more information on your very own pet fence system? Use the form below to get in touch with us and we’ll get back to you as soon as we can.